It was a week or two before I would leave Japan, and I was teaching a one-to-one lesson with Ami, a little girl who’d been coming to individual English lessons at our school for a year or so; she was three by now. At two she had absolutely hated coming to our lessons and we had spent many lessons with her mother coming into our kids’ room with her, and little Ami-chan would cry while we tried to teach her a few English words. Her mother didn’t speak much English and I had no idea why it was so important for her to learn so young – most of the kids didn’t start until they were three or four and then they would be in a fun small group of kids, not on their own with a scary foreigner. But I digress. In any case, by this stage Ami would come into the room with me by herself and half-heartedly participate in the fun and games I’d prepared to try and help her learn some English. But on this particular day she was obviously in an unhappy mood and she needed a few cuddles. The funny thing was, so did I, and we ended up spending much of the lesson having a little sob together, unseen by the rest of the school thankfully! 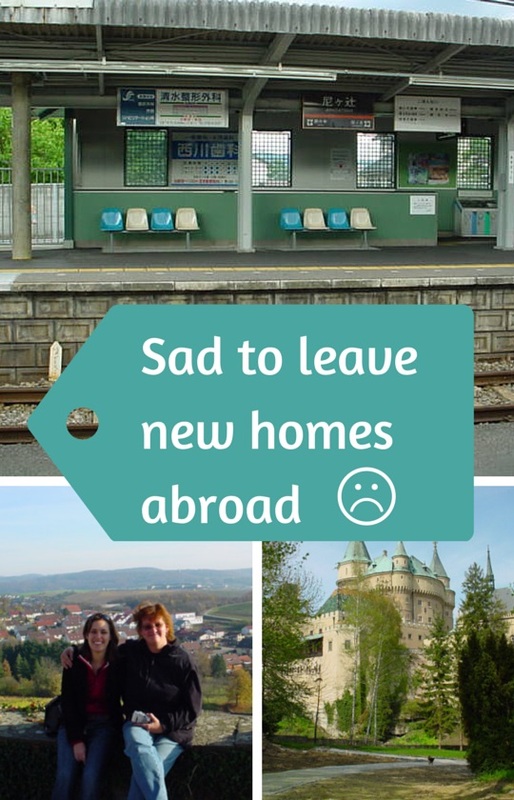 I was sad because I was about to leave my new home of Japan. I’d been living there for two years and I would have liked to stay longer – my boyfriend at the time was ready to move on though and we had jobs lined up in Europe (and to be fair, once I’d repeated the experience of leaving a new country several times, I realised that leaving new homes would never be something I was actually ready for – but sometimes you just had to go – such are the perils of expat life). 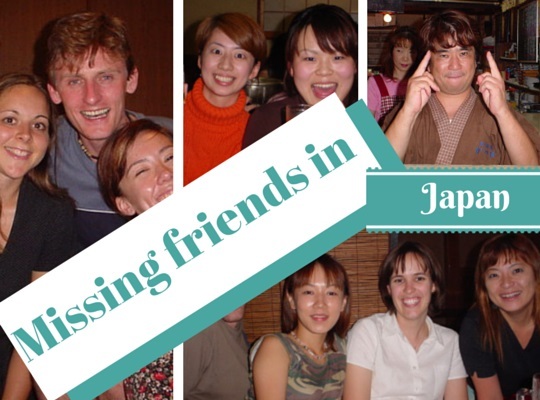 I had so thoroughly enjoyed living in Japan, and had made so many beautiful new friends (like Yuko, who I’ve lost! ), and I couldn’t imagine not being there any more. I was aware enough to realise that no quantity of promises to keep in touch and email and call would ever be the same as actually waking up in my tiny apartment in Nara, hopping on the train at Amagatsuji station, shopping at my familiar Isokawa supermarket, waltzing in to our classrooms with my favourite students and laughing away with them until the bell went to end the lesson; all of these things were a function of living there day-to-day and it would never be the same again. Leaving Perth to spend an undefined number of years away was mostly just exciting. I had lived there for 25 years and I suspected I would probably come back one day. In contrast, leaving Japan after just two years was a really sad time. 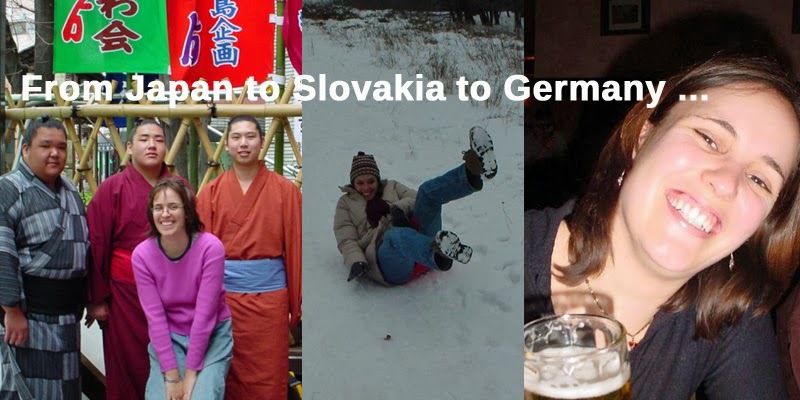 I spent a month back in Perth before heading off for a Trans-Siberian adventure en route to living in Bratislava, and I spent most of that month in Perth really missing Japan; I would email my Japanese friends daily, and I often ate Japanese food. Thanks to Facebook I’m still in touch with many of these friends from Japan! A year later, it was time to leave Bratislava. Again, I would have liked, dearly liked, to stay in Slovakia longer. I loved my work, and I’d got to know my way around the trams and buses, and had made a really close friend, one who’s still one of my best friends today. Unfortunately the salary for an English teacher in Bratislava at the time, before Slovakia joined the European Union, was really low and it wasn’t possible to do much travelling without digging into savings; plus I had a job offer for Germany, a country I had long wanted to live in, ever since starting to learn the German language at the age of seven. But I still very well remember my last evening in Bratislava. I had said my goodbyes to everyone except my best friend Z, and I spent the evening across the road at her apartment. It felt like we were trying to cram a few more years of friendship into our last evening. When I eventually went home, I cried myself to sleep and swore I would never leave another country again. But of course I did leave a country again. 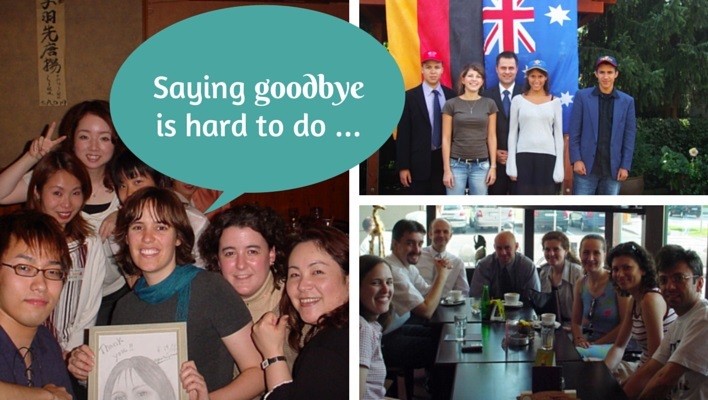 I had a few great years in Germany, met my now husband, and he persuaded me to move back to Perth (sight unseen on his part – crazy guy!). And once again, I found it pretty devastating to leave Germany. I wasn’t 100% enthusiastic about moving back to Perth – I knew I wanted to eventually, but I could happily have spent a few more years in Europe. And I had grown used to being a foreigner abroad, after six years of it, and I really loved using a foreign language every day and constantly discovering new and bizarre cultural differences. And of course I had friends I was going to miss. A few years on, and although I am utterly settled down in Perth at the moment, I think about my time in Japan, Slovakia and Germany on a daily basis. I still wish all these places were close enough that I could pop over for a week or two regularly; I’ve returned to all apart from Japan, but of course visiting is never the same as living there. The one thing that I have told myself often – have had to tell myself often, in fact – is that although it’s sad to have left these special homes of mine, it is better to be sad about leaving them than to never have lived there at all. Thanks Hilary, and you’re right – Perth is not a bad choice as places go!